Today’s guest blog comes from 23 year old Heidi Eldridge, who has spent a decade immersing herself in all aspects of the beef industry. 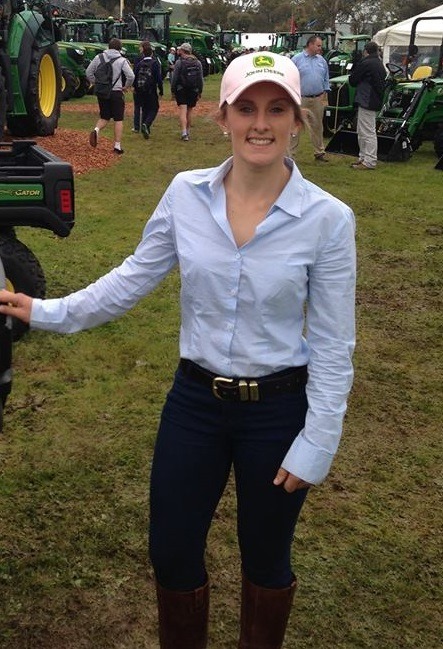 From cattle showing and judging, meat judging, research, assisting at a stud, working in an abattoir and jillarooing, to her current role with the Cattle Council of Australia – she’s done it all! I was not born and raised on a property but I was fortunate to be surrounded by extended family on dairy properties and studs. I grew up in Albury/Wodonga. This area was known for its rural surroundings and large agricultural community. I attended St. Pauls College in Walla Walla, attending numerous horse and cattle events throughout Australia. Junior judging, cattle showing camps and youth Angus programs fired my initiative to learn about beef outside of the show ring. Throughout high school I worked for Elders, Wodonga Saleyards and Landmark. I studied a Diploma of Agriculture and Diploma of Equine Studies, leading me to assist the ‘Lawsons Angus’ stud in Victoria. They provided me with three years of guidance within their inseminations, sales, calving and bull unit operations. Throughout my HSC I also worked at the local abattoir in the yards, kill floor and packaging area, providing me with the opportunity to gain knowledge across another sector. 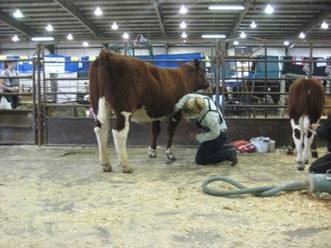 Throughout my teenage years I continued my junior judging. I moved to Canada for 5 months, living and working between two families and taking part in cattle showing competitions and preparation, cropping, rodeoing, cattle camps and school. After school I packed my ute and drove to Julia Creek, QLD, where I worked for Acton Super Beef as a Jillaroo. This broadened my experience to station run beef operations. I started university studying a Bachelor of Agricultural Business Management. I worked closely with Rennylea Angus within their calving, insemination and sales units. After becoming more involved in grain and nutrition I worked with Agrisearch Services taking part in grain trials for both cropping and feed based products. 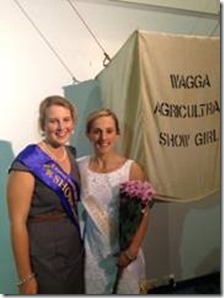 I challenged myself by taking part in the Intercollegiate Meat Judging in Armidale as well as entering Wagga Wagga showgirl and also involved myself in different youth events at university. After making the choice to study via distance I was soon employed full time by Ladysmith Feedlot outside Wagga Wagga, operating in all sections from feed, pen riding, health and welfare and supply. This was an excellent opportunity which took me from pasture fed perspectives into concentrated grain operations. I moved to Canberra to pursue my greatest achievement within the beef industry yet, to be employed by The Cattle Council of Australia as the Stakeholder Relations Officer. The role is an excellent opportunity to operate within the industry working first hand with producers and industry representatives. I believe that my experience throughout the beef industry supply chain has assisted in understanding issues relating to my position. Although I was not born into a farming operation I do believe that I have worked hard to immerse myself in the industry and all that is has to offer. Over the next 10 years I see myself networking throughout the industry and involving myself in many meetings, events, discussions and boards to ensure that Australian beef producers are being heard. I also wish to increase the awareness of youth working within the industry and showcase how the next generation can step up and influence change if given the right support. I hope to travel around Australian and internationally, learning from and engaging with beef industry professionals. I am interested in furthering my education via university as well as taking part in youth agricultural programs. The Young Farming Champions program is beneficial in raising awareness of the opportunities for young people within agriculture and boosting the career success, support and mentorship of young farming professionals within their chosen industry. Without support our youth will not be given the push to stay in the industry. Being able to take advantage of programs such as Young Farming Champions means young people will not only gain the drive for a successful career in agriculture but they will also have heart for the industry. Great story Heidi, keep going would love to have a chat.